metalradio.co.nz: Metal Allegiance announce new EP, "Fallen Heroes" out August 12th! Metal Allegiance announce new EP, "Fallen Heroes" out August 12th! 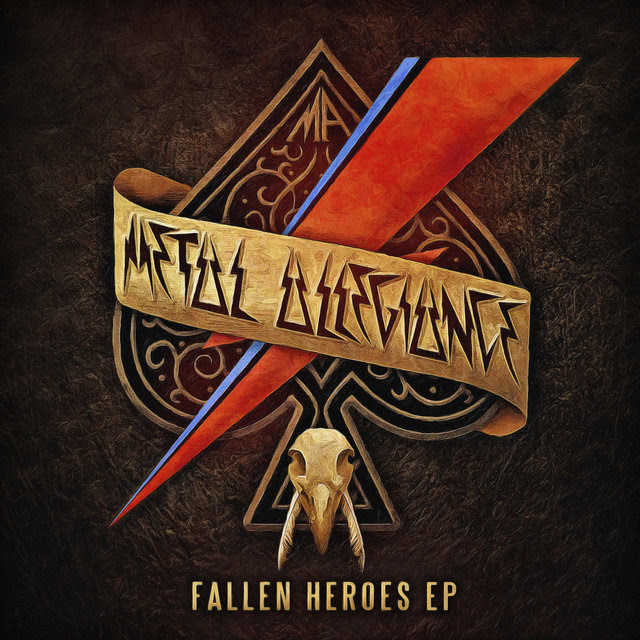 announce new EP, »Fallen Heroes,« out August 12th! 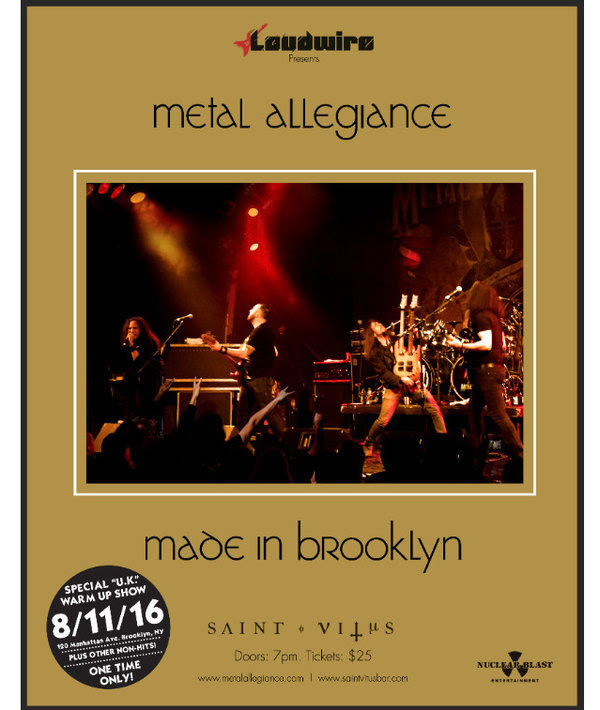 METAL ALLEGIANCE have announced they will release a special EP, entitled »Fallen Heroes,«on August 12, 2016. The band united to pay homage to the 3 legends - Lemmy Kilmister, David Bowie, and Glenn Frey - who impacted not just their lives but the world as well. "The end of 2015 and most of 2016 has been a brutal year with many of our heroes passing,"comments Mark Menghi. "When Portnoy called me in January to alert me that Glenn Frey had passed, I literally broke down. That night after having a few Tequila Sunrises in Glenn's honor, a lightbulb went off... We're going to record a few tunes to honor our fallen heroes. I called back Mike that evening and asked him what he thought and the next day we were in the studio recording. By weeks end, all guitars, drums and bass were complete. I can't begin to explain the influence that Glenn Frey, Lemmy, and David Bowie had on me. Each of their music has helped me immensely during some real dark periods of my life and not to mention their influence on me as a musician and songwriter. Lemmy is God, Glenn is King and David is the Architect." Alex Skolnick comments: "These brilliant artists have an extensive catalogue that is sometimes on the softer side (with the exception of MOTÖRHEAD, of course). So when it came to THE EAGLES & BOWIE, we specifically chose tunes of theirs that are riff-based and translatable to high energy arrangements. For Lemmy, we immediately crossed out 'Ace Of Spades' (great tune but the last thing the world needs is yet another cover version) and chose 'Iron Fist,' which we already had a good handle on from playing live and to us is every bit as much a signature MOTÖRHEAD tune." "I'm really excited to be a part of the »Fallen Heroes« EP," comments Alissa White-Gluz. "I think we have all felt the weight of losing so many great musicians this year. 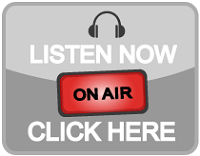 I think these songs are a cool way to pay tribute to a few people who contributed so much to the world of music and showcase a different side of ourselves." Recorded at Conclave Studios in New York City, Fallen Heroes was produced by Mark Menghiand Alex Skolnick. The album was mixed by Jay Ruston in Los Angeles, CA and mastered atSterling Sound New York City by Ted Jensen. The initial sketch of the artwork was created byMark Menghi and Stephen Thompson (ANTHRAX) and was later finalized by Marcelo Vasco(SLAYER). METAL ALLEGIANCE took the news of Lemmy's passing very hard as the bands very first gig was on MOTÖRHEAD's first Motörboat Cruise. It was on that boat where the idea to write a record together and carry the MA flag as a brand/band rather than a sporadic, special event show... all of us in MA are humbly grateful for the opportunity that team MOTÖRHEAD gave us. In late 2015, the band scheduled a West Coast string of intimate club dates with a stop as the world-famous Whisky A Go-Go. The year concluded with the band heartbroken saying goodbye to their beloved friend. They later found out that his funeral and memorial services would be held the day of their performance. The band was asked by their tour agent who is also MOTÖRHEAD's agent, Lemmy's management, close friends of his, and the owner of the Rainbow and Whisky to incorporate a tribute which of course, they obliged. The day of their performance, Sunset Blvd. was shut down and their bus was parked on a street filled with tears, madness, partiers and a sea of mourning metal heads. They said goodbye to their friend that evening with help from MOTÖRHEADdrummer Mikkey Dee amongst a ton of other special guests. The next day they played their final show at the Regency Ballroom in San Francisco. Mid-set they were informed that David Bowie had passed. Mark Menghi comments: "I remember coming off stage to trade bass duties with David Ellefson (we would rotate songs) and he stopped me, looked me and Osegueda in the eyes and said "Dude, Bowie just passed away." Literally in mid-set we got that news. I looked at Mark and he was in tears. Not even a minute later, he was on stage telling the Bay Area crowd of the news he just learned. I turned to the side and looked over at Mike Portnoy and he just had his head down with his hands over his head trying to comprehend what Mark was saying. The next few songs was our Lemmy tribute and tears rolled off all of our eyes while paying tribute to one while learning of the passing of another."